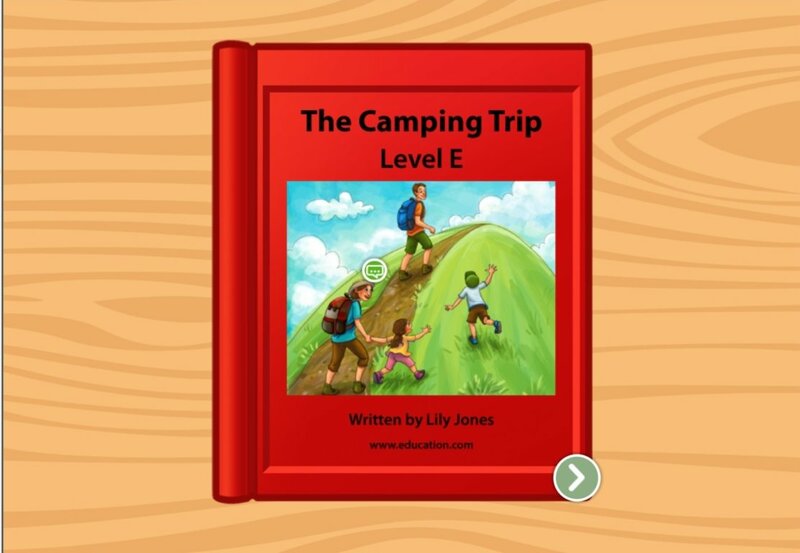 Gooey marshmallows, hot chocolate, the great outdoors, and lots of family fun. Where can you find all these things? On a camping trip! 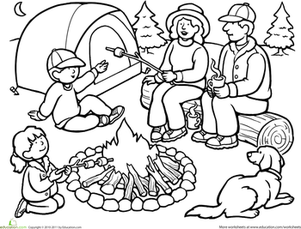 This coloring sheet features the whole family bonding over a roaring campfire and some sweet campfire treats. Play Road Trip Bingo with the whole family on your next trip out of town. 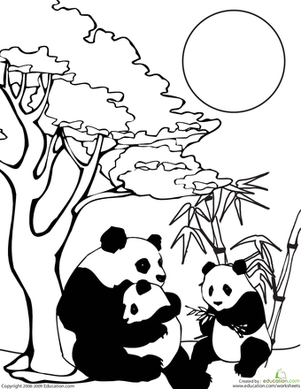 This coloring page features a picture perfect panda family near a bamboo grove. This sweet mandrill family will be fun for your child to bring to life with his crayons. In this intro-to-history worksheet, kids can start with something familiar -- family photos from a real American family through the years.